Seriously, use a computer. Phones will definitely not work, as the screen is too small, the wrong size and many of the characters you will commonly use in programming (such as ;, < and >) are hard to type on a phone keyboard. Additionally, most phones don’t give you direct access to the filesystem (if you remember from my last post, websites are actually just folders with files in them) or the terminal. Yes, there are probably apps that you can get but it will all be much more complicated. Seriously - stick with a computer. The same thing goes for tablets - the screen is slightly bigger and is landscape, but you still can’t access the terminal or filesystem and many common programming characters are still hard to type. I recommend a Unix-based operating system, meaning either macOS or Linux. The reason for this is that they both have a Unix terminal. Unix terminals are more widely used within the programmer community, therefore have more support. I also (admittedly biasedly) find Unix terminals easier to use. If you are a beginner programmer or haven’t had much experience with the Unix terminal, I would probably recommend either MacOS (Mac) or Ubuntu Linux. This may be a bit in advance as you don’t really need a terminal when learning web development, but later on if you start running servers, using NodeJS etc. it will be helpful to have a Unix terminal (also, any of my posts using the terminal will be for Unix operating systems). You can use the default system terminal, or you can install my favourite terminal program called Hyper. There are many code editors out there. 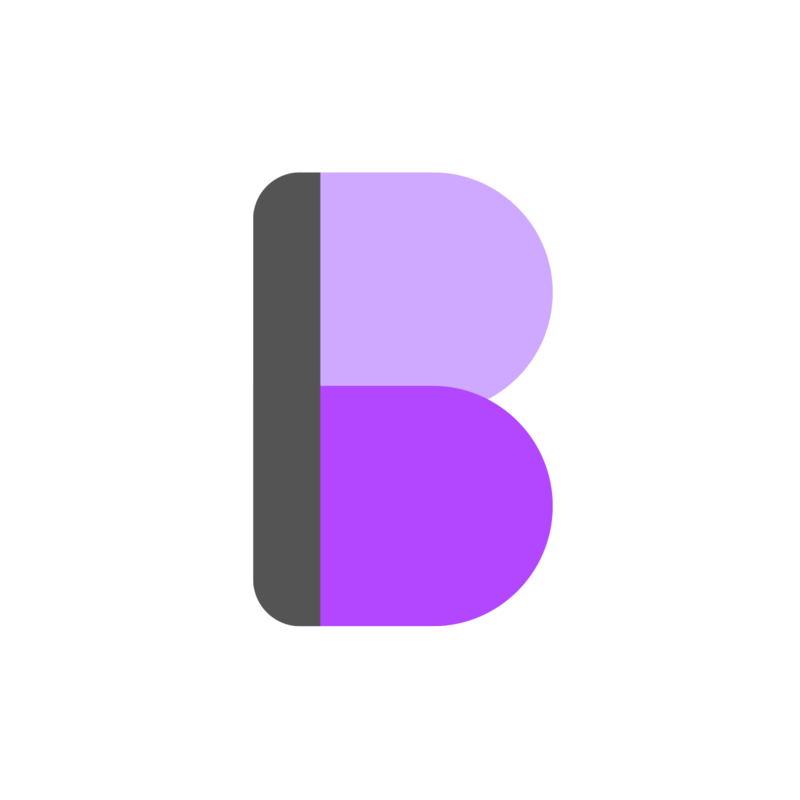 I use Brackets, as it is specifically made for web development (but not limited to that) - their slogan is (quite ironically) Code The Web. I also like their clean user interface, and how simple it is to use compared to some other code editors where trying to use them is a learning task in itself. Other good code editors include Atom and Visual Studio Code. Fun fact: I’m actually writing this post in Brackets right now. Okay, you probably know how to install an application - download brackets from brackets.io. Once it’s all installed and you’ve opened it up, there are a few extensions I recommend installing. Any great extensions that I missed? Let me know in the comments. You can also install a theme if you wish, but I think that the default theme is pretty nice anyway. 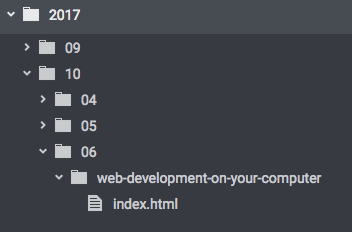 Once you have these extensions installed, open a project folder by going File > Open Folder.... Now, all the files in that folder will show up in your file tree on the side, so you can open files from your website folder. As a standard, the home-pages of websites are always named index.html (well not always, but you should get into the habit). Now save (File > Save) the file as index.html in your website folder. Next, open up your folder using Libraries/Finder etc. You should see your index.html file in it. The reason that index.html is probably not in the URL of this page is because the server is set up so that if you visit a folder, it serves you the index.html file from that folder. As you can see, there is essentially no difference between how websites work on the internet and on your computer, other than no-one else can visit the one on your computer. So, now you know how to preview websites on your computer! If you were to change the HTML and save it, you would need to reload the page to see the changes. Hopefully you know have a full web development set-up! This will be great for learning web development, as if there is no way to run your code then you can’t see the result. You’re all good to go, and ready to start. I encourage you to follow along in all of my posts - it really helps you learn the language. If you need any help setting things up, I’ll be happy to help you in the comments. I hope you enjoyed this article, and if you liked it don’t forget to subscribe and share with your friends.